In our latest national commercial, a caregiver explains her reasons for becoming a Visiting Angel. 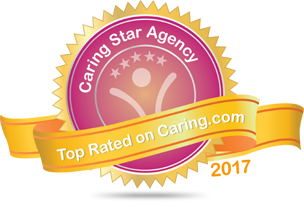 She channeled her naturally caring and compassionate nature into a career in home care. She loves working with senior clients and appreciates the support the Visiting Angels office gives her. 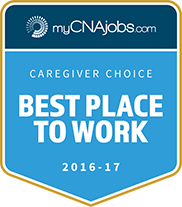 Come learn why Visiting Angels has been voted #1 Best Place to Work by caregivers nation-wide! Apply with us today at www.njseniorcare.com/jobs. Not certified in New Jersey? Check out our list of Certified Home Health Aide schools in Mercer-Burlington-Camden county area. In as little as 76 hours (60 hours of classroom instruction along with 16 hours of clinical instruction), you can become certified in New Jersey.